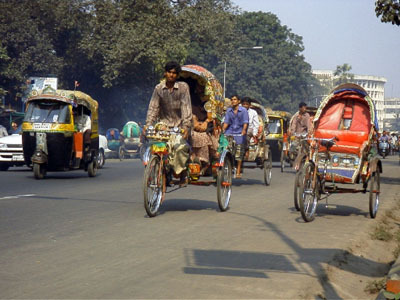 Tuk-tuks and human powered rickshaws are making their way to the western world. Three wheelers were common in Europe when I was a kid, but somehow they have disappeared where I lived. They never went out of fashion in France and Italy though, where they still make their own brands. Two at the back or two at the front, doesn’t matter – here we go again. Although little known, there are hundreds of different tribes in India, a country which has more than 10 official languages and, according to some studies, up to 800 spoken languages. 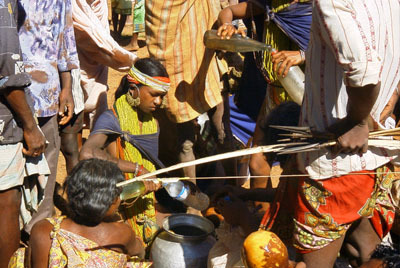 One interesting and diverse region is Orissa where there are 62 different tribal groups. One of the most interesting and smallest is the Bondo who live up in the hills of Khoraput district along with the Didayi and Gadaba. Their way of life is under threat – as the case with indigenous groups all over the world – but they still retain much of their culture. You can get in contact with them in one of the weekly markets where they sell sago wine and buy the things they need. The following images were made in the market of the little town of Onukadeli (also written in many other ways), located at the upper end of the Machkund Dam Project. Most of the photos were taken by a local man who doesn’t want to be named. I gave him my camera for the day while I was drinking with the Bondo. Although he had never used a digital camera before, he made some amazing shots in the market. The images in the villages are mine. Note: Please be respectful when visiting tribal areas. Apart from their lands being taken, the tribal groups are under enormous cultural pressure from Hindu officials and Christian missionaries – no need to make them feel like exotic animals in a zoo.